It’s been a while since I sent you a letter. I had to take some time off in search of more exciting stuff to share with you. I am now back with more interesting adventures. I had a great start to my week as my first fun zone was the British Council, Lagos. My group, Loudthotz Open Poetry, had been invited to be a part of the Lagos International Books and Arts Festival 2018. It is a festival to celebrate literary works and mentor young writers. It was indeed a gathering of intellectuals with professors, doctors and authors on the front rows. There were a couple of children authors escorted by their parents to read from their published books. Some of the kid authors that read include Olademilade Fagbayi, Oluwadarasimi Fagbayi, Jeremy and Bolaoluwa Nera. The audience was amazed at the literary prowess of the young ones. 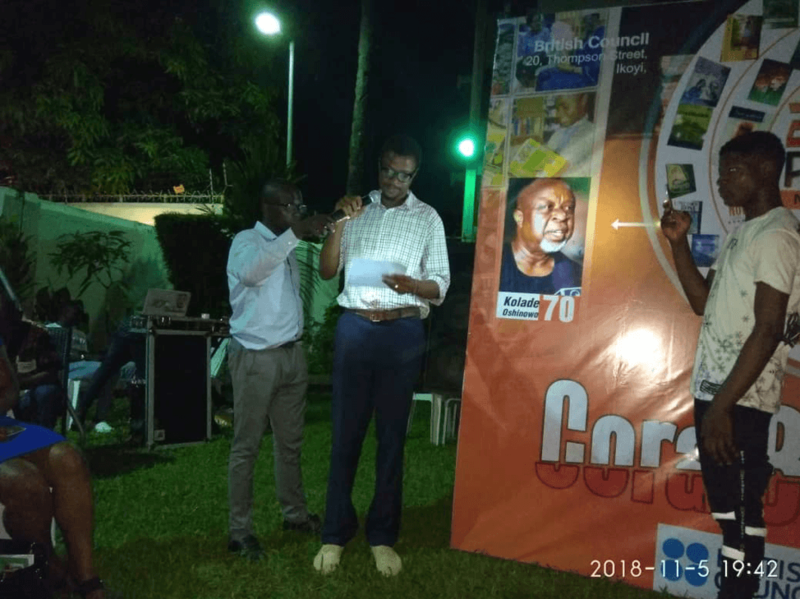 My friend Joy Nwamaka opened the event with her poem about birth, Olamide Santos did something about Lagos, and a couple of others whose name I cannot recall also did their pieces. I read an excerpt from Professor Akin Mabogunje’s “A Measure of Grace”, at first I wanted to bail but it turned out to be fun reading to such an amazing audience. Day 2 of the festival was at the Freedom Park Lagos. It was dedicated to Luodthotz, AJ Poetry and another group, whose name has eluded me. I read my poem “Dogs and Underdogs” from our group’s first anthology of poems, “The First Gong”. Not sure if the audience felt my vibes but the poem makes so much sense to me, politically speaking. I missed out on the excitement as some musical acts joined the festival to spice it up towards the end of the week. Burna Boy, Seun Kuti and others were there but the call of duty didn’t allow the luxury. 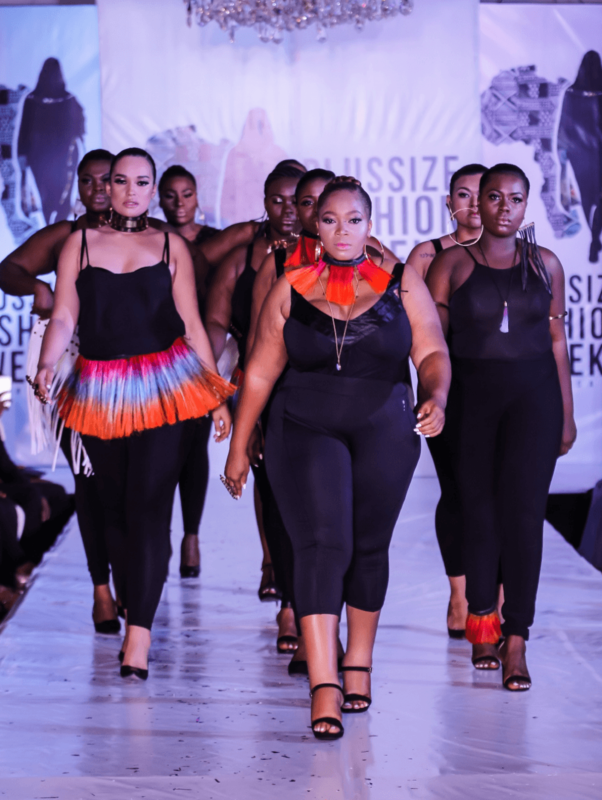 The Plus-size Fashion Week Africa 2018 was an event I swore not to miss, after missing the 2017 edition. As usual, it afforded me the opportunity to catch up with old friends and make new ones. Speaking of old friends, Ivie Olive caught me just as I made to pass the media pavilion and we created quite a scene. A fairly round girl, with curves in the right places is the definition for Ivie. The words of her mouth is fire as she never minces words. Let’s save some of her gist for decency’s sake. Ever heard of Morin.O? Well, Morin.O is a brand of leather bags and accessories by art enthusiast and curator, Morin Obaweya. We took a bit of time to discuss how the economic situation of the world was affecting sales and plans to meet up with global demands. Sefi Oma of LushUndies, Chisom Ogbummuo of The Conversation Café, Obis Ora, Sandra of PlusSize Fashion Naija and other phenomenal ladies. As an adventurer, I squeezed my way to the backstage to get even closer to the Queens who had just left the run way. It was an opportunity to see what went on behind the scenes. Curves here, curves there, curves everywhere but beyond all that were some of the cutest and most industrious people. I got acquainted with the likes of Amarachi, Bethany Churcher, Chianugo Igbinoba, Jennifer and a few others. Do you have events you’d like us to attend together? Or do you want us to highlight your last venture? If yes, please leave your message in the comment box or shoot us a mail to learn how to make it happen. Till the next time! And please endeavor to do at least one random act of kindness wherever the tides may lead you.